Did you know that when a car seat is installed correctly into a vehicle, it reduces fatal injury to infants by 71%? That is a huge number. I know for me it is one of my most constant worries, are the kids being safe in a car. With September being Baby Safety Month there is no better time to talk about the importance of kids being safe in the car. 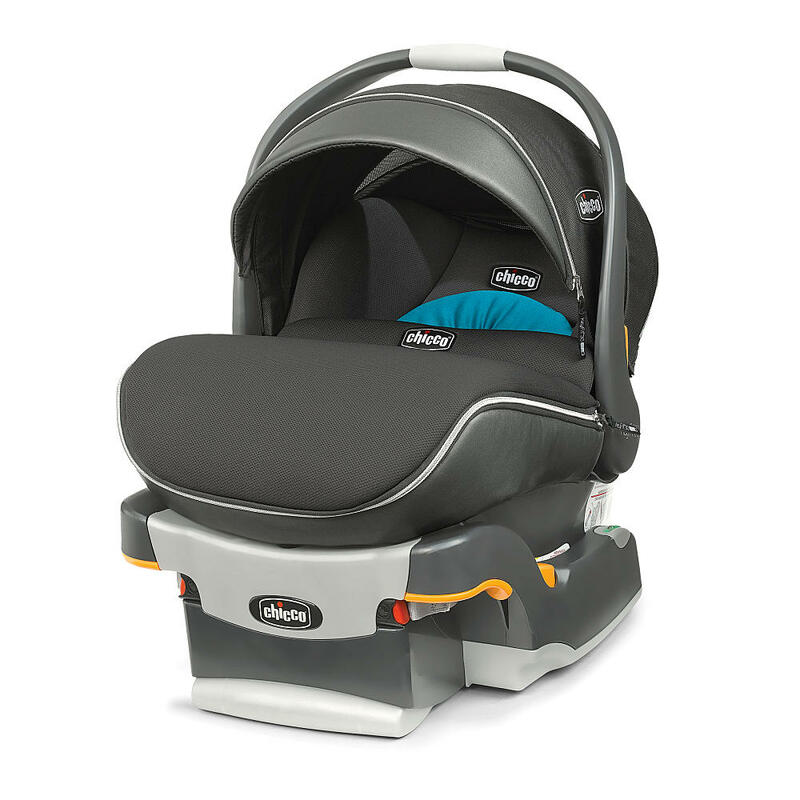 Chicco has a line of baby safety seats that are easy to use, fashionable and most importantly fit well into most cars! We were sent a KeyFit 30 for our new baby girl Delilah and we are so in love with this seat! Comfy and easy to install being the top two things on our list of must-haves, Chicco KeyFit 30 hit them both brilliantly! Being in an accident with a child in the car is scary, it happened to me, but knowing she was buckled in correctly and her seat was installed right, gave me the peace of mind that when I turned to check on her I knew she was going to be OK! We were right out in front of our home when this happened, so do not fool yourself into thinking it is only worth buckling up for long trips! With Chicco’s easy seats there is just no reason not to do it! The Chicco KeyFit 30 is one of the easiest car seats to install and it is one of the easiest to install correctly. Car seats are not the place to get bargain basement deals, they are also not the place to slack off and not worry about how it is put in. You absolutely must take the time to learn how to install the seat, learn if it is a good fit for your particular car, and make sure all of the buckles are done correctly every time. You can watch videos on proper installation. Did you know that washing your car seat’s straps and harnesses make them not work as well? I have a kid who loves to get car sick and I was taking all of the straps out and washing them in the machine. It is STRONGLY advised not to do this! Sponge clean plastics, harness straps and LATCH straps using warm water and mild soap. Towel dry. DO NOT USE BLEACH, solvents, or household cleaners, as they may weaken the plastics. To clean the buckle or LATCH hardware, rinse in cup of warm water or sponge clean. DO NOT USE ANY SOAPS OR LUBRICANTS on buckle or LATCH hardware. It may cause them to malfunction. Always go to the website and learn about your particular seat and what you can and cannot do with your child’s car seat, it is just too important to not take the time to learn about them! Most have the manual on the website for viewing and printing out. Get answers to some of the most frequently asked questions about car seats, video installation tips, and the most up to date safety information on Chicco’s car seat safety website. Follow Chicco on their Facebook, Instagram and Twitter channels to always be in the know.